Business Development, which is responsible for supporting the science, research and commercialisation activities of the organisation through understanding and defining Scion’s market and stakeholders and through positioning Scion within that market. Marketing and communications functions – overseeing all marketing activities and external communications. Arron joined Scion on 1 November 2017. He has a diverse background across university, corporate and start-up environments, and has had an extensive career in the technology industry including regional management roles with large multinationals such as Toshiba and Ericsson. Arron came to Scion from the University of Auckland where he was Director for the Centre of Software Innovation – ICT Sector Innovation Manager since 2012. He is also a co-founder and current Director of Astrolab Limited. Previous roles include General Manager and Founder of SmallScreen Limited, Vice President Asia Pacific for GeoVector Corporation, Regional Manager Asia for Ericsson Wireless Internet Services, and National Technical Manager for Toshiba. 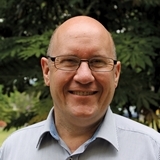 Arron currently also provides business advisory advice to a number of small businesses and was a mentor and advisor for four years for the Return on Science commercialisation workshops.